Sam the Lion is actually a priceless dachshund, bred to be a show dog. More important, he is Heidy's best friend and she needs one like never before. Living with her reclusive uncle is hard, but Sam has a way of making her feel soft and whole. Until the day Sam is framed by the jealous poodle Cassius, and is cast out by Heidy's uncle, alone on the wild streets, where he is roughed up by a world he was not bred for. Sporting a soup ladle for a leg, Sam befriends other abandoned dogs and journeys all the way to the Westminster Dog Show, where his plan for revenge on Cassius takes an unexpected turn when he and Heidy spot each other after years of being apart. Berkeley Breathed(www.berkeleybreathed.com) is the Pulitzer Prize-winning creator of the renowned comic strips "Bloom County," "Outland," and "Opus" which have appeared in over 1,200 newspapers worldwide and have earned Berkeley millions of loyal fans. He recently decided to bring back "Bloom County" after a 25-year absence and has been overwhelmed by the response--and by how much fun he is having. 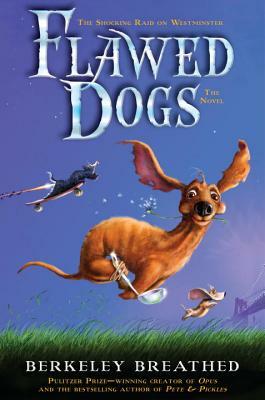 Berkeley Breathed is also the creator of the illustrated novelFlawed Dogsand theNew York Timesbestselling picture booksMars Needs Moms!andPete & Pickles. He lives and works in Santa Barbara, California."